Magician York. If you are thinking of ways to make your event more amazing then you are in the right place. Alan Hudson will dumbfound your party guests with magic straight from his pockets. He will mix and mingle, approach your clients and let the miracles start to happen. As a full time close up/table magician, Alan is the perfect person to break the ice at any event. Not only does he promise to perform incredible street magic, but he’ll also make your guests feel welcome and get them in the party mood. Performing all over York and Harrogate at place likes Sun Pavilion, Hotel Du Vin, Old Swan and Crown Hotel at hundred’s of corporate events. 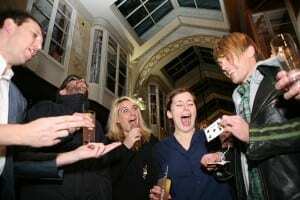 Alan Hudson is one of the UK’s busiest close up magicians, as well as performing in York and Harrogate, he perform’s all over the UK. 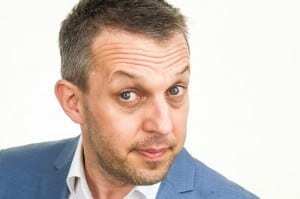 If you are looking to spoil your guests, you can hire Alan to perform as an After Dinner Magician, with his 30 minute cabaret show with stand up comedy, mind reading and of course, magic. Very funny and includes your audience who become extra stars in the show. Go to the Comedy Magician page to see how you can book Alan to entertain your guests with some stunning table top magic at your York party.